The Sports Tournament assists in stimulating growth in the economy of the region; and it also greatly contribute towards the growth of the tourism sector. We believe that participating in sports is not only about sports development; but also about creating opportunities for the man on the street that they may develop & grow financially through selling and promoting their products during the tournaments and providing services. Promoting Pusha Foundation social entrepreneurship identity. Create a platform for sports fraternity to showcase their talent. Addressing national sports crises (Producing Champions). Lack of proper sporting facilities. Unemployment and lack of job opportunities. Lack of sports development and mentorship. 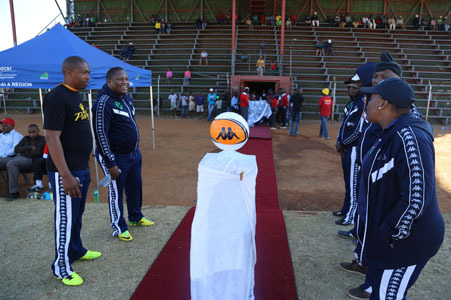 It has been decided that the Community Sports Tournament will be pioneered in schools especial those schools that are already promoting and are involved in programmes such as, School Sports Leagues, SASFA and other school sports structured tournaments. As things stands schools are said to be the academic centres which minimise the extramural activities and because schools are overburdened thus we choose to focus on the community sports. 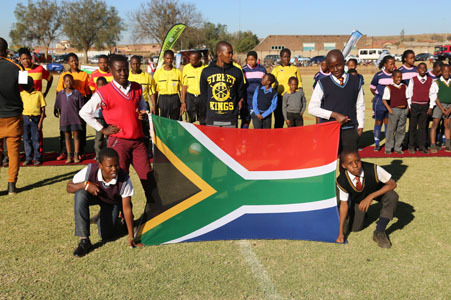 The programme is structured to cover schools for the purpose of achieving the goals of long term sports’ development. The coaching clinics will be done on Saturdays in order not to disturb the curriculum of the learners. 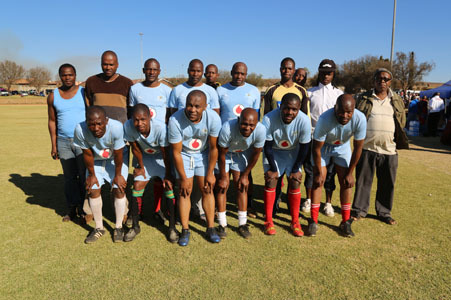 They will also be spread over a period of 8 months (from September 2014 to April 2015) and will be aligned to the programme that SAFA is implementing regarding coaching and mentoring. The coaching clinics will include all the sporting codes that we have identified as being critical in this area i.e Soccer, netball and basketball. We are targeting to cover plus minus 8 000 people to participate in this tournament. This includes the preliminary games that will be taking place at local level. The tournament also targets to achieve more than 10 000 children at grassroots development. Different federations will provide the technical rules and officiating of the games. Only clubs and teams who are playing organised sports will be the ones considered to allow and ensure tracking and tracing of athletes’ progress and development after the tournament. This is a development tournament and the aim is to ensure sustainability. This can be achieved through the empowerment of coaches and by enforcing rules on technical officials and the experience gained on the field to be transferred to the participants. In all these sporting codes we will implement the rule that cater mostly for the under 23 but allow over 23 to participate in a small scale. The 7/4 ratio rule will be implemented i.e 7 under 23 and 4 over age players. The rule will be spread to suit all the sporting codes.